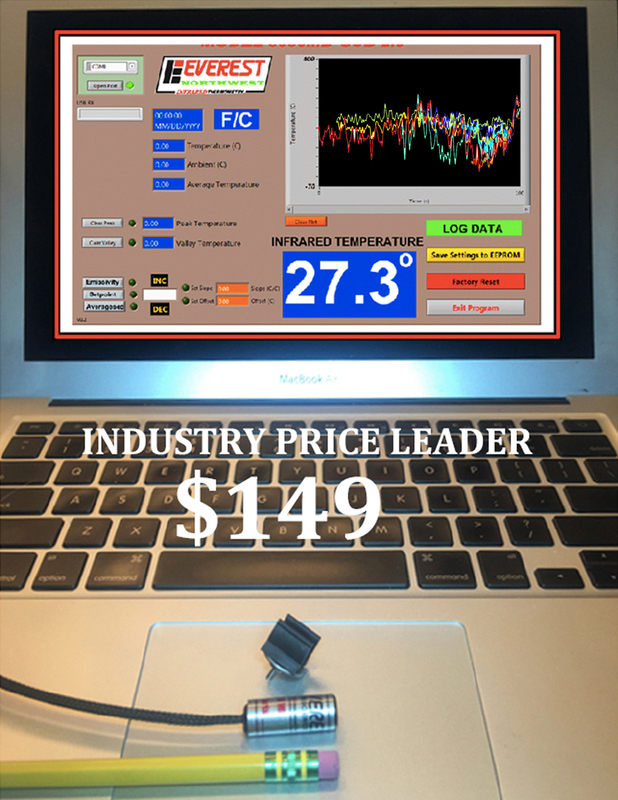 Industry Price Leader in the USA, our 3000 USB 2.0 Infrared Thermometer, at $149.00 @ 5 (Min). The 3000 USD 2.0's entire program on the Microcomputer unit in the "head" of the 3000MD, as "Firmware", (software), not burdening the PC. Of course Quantity breakdowns with substantial discounts are available. The "screens" and photos of the Instrument follow for your use.